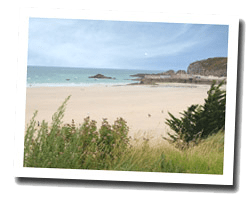 Fréhel is located not far from Cap Fréhel, one of the most beautiful sites in Brittany, which is actually in the town of Plévenon. At the seaside there are beautiful beaches in Pléhérel, along a rocky coast. Sables-d'Or-les-Pins is a seaside resort with a singular charm, located on dunes at the mouth of the River Islet. 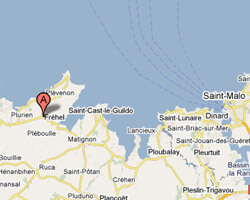 In Fréhel enjoy a seaview holiday rental. 2 rooms apartment 37sq. m located on the 1st floor of a building renovated en 2010. 80 m from the large beach of "Vieux Bourg". Terrace with view of Sea and Fréhel Cape. no smoking. 3 rooms apartment 59m2. Close to the beach. terrace. 3 rooms apartment 45m2. Terrace with bbq.